Friday, June 9, 1837.Springfield, IL. In A. Y. Ellis & Co. v. Smith, an attachment case in the Sangamon County Circuit Court, Lincoln writes and files a praecipe and the affidavit of Joshua Speed, one of the plaintiffs. 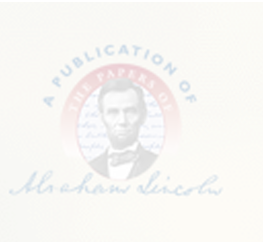 Lincoln also files a praecipe and the affidavit of William Herndon in Herndon v. Smith, an attachment case in the Sangamon County Circuit Court.Herndon-Weik Collection, Library of Congress, Washington, DC.